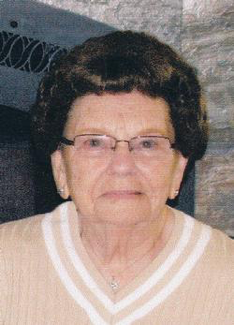 Lorene Evelyn Weed was born December 28, 1921 to Phillip and Molly Foos in Bazine, KS. She was the sixth child of the family with 4 sisters and 4 Brothers. Her 95 plus years of life spanned some of the best of times and some not so good times. Her parents spoke German and understood very little English. Lorene was baptized into the Methodist church on August 6, 1922 and her baptismal certificate is in German. It is a little tattered and torn. The first ten years of her life went pretty good, as she once said. We got a new dress for Christmas every year and there was enough to eat. In 1931, she lost her mother and shortly after the family moved to Towner, CO. Just in time for the dust bowl. Living in the very heart of the disaster and dealing with the depression made for some tough years. They milked cows and sold cream and eggs to buy a few groceries. Her school lunch pail was the same every school day and consisted of a syrup sandwich and occasionally an apple. Once ask why she thought they moved to Towner she replied because the school books were provided free. After completing the eighth grade she stayed at home and worked for the neighbors and contributing to the family's survival. In 1941, she met her late husband Bud at a dance in Arapahoe, CO. They were married April 3, 1942. A few short months later her husband Bud was drafted into the Army and shipped out to Europe, in June. She waited 4 long years for his return. She worked at the UP [Union Pacific] cafe in Cheyenne Wells during those years along with her sister Elsie Riley and a close friend. She made 25 cents per hour. On January 31, 1947 their first son, LeRoy Eugene arrived and on October 20th, 1948, their second son, Garry Dean was born - bringing much joy and happiness to their life. They settled in Weskan, Ks for the next 20 years. She was always busy raising a family and helping her husband at the school. During the summer she often helped at the local cafe or grocery store. They moved to Arapahoe in 1968 where she worked in the school lunch room. In 1982, she retired and they moved to Cheyenne Wells where she continued to work part time cleaning at the City Hall & Library until she was 80, in 2001. She continued to mow her own lawn until she was 90. She enjoyed spending time with her sister Dorothy, often going to spend several weeks with her in Dodge City. They shared a great sense of humor and enjoyed each other's company. She was blessed with good health and lived independently, until age 94 at which time she was admitted to the Grace Manor nursing home in Burlington where she received loving care until her death on May 22, 2017. 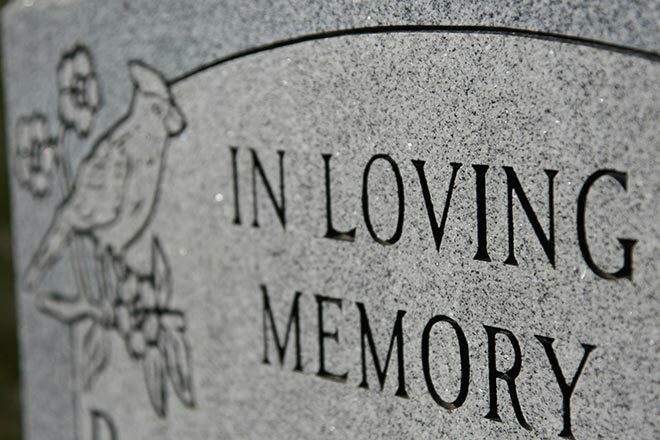 She was a loving wife, mother, grandmother and great grandmother and her most cherished times were family gatherings. She had an understated, self-deprecating personality, but she possessed a clever sense of humor and a genius for cutting to the very heart of a matter with a minimum of words. She loved tending to her yard and home and always cared for a cat or two. She was no stranger to hard work and hard times but she came from a generation of survivors and that she did, through the good times and bad. She is survived by son LeRoy [Sherry] of Huntsville, AL, and grandchildren David, Tina, Bobbie Lynn and LeRoy Jr. And, son Garry [Sherry] of Weskan, KS, and grandchildren Laura [Stephen] Kukta of CA; Steven [Rahila] of MO; and Kenneth [Jessica] of WA. She had 4 great grandchildren: Quentin, Annalyse, Avery and Areighly. She has one surviving sister, Dorothy Fromm of Dodge City, KS and many distant relatives. Her husband preceded her in death, in 1989. Memorial contributions in lieu of flowers should be sent to the William Kimmel VFW Post #9700 in Cheyenne Wells, Colorado. Visitation and funeral services were under the direction of Brown Funeral Home.